“Unit modularity” and “smaller dimensions” are two of the most important criteria when selecting a frequency inverter for a specific application. SEW-EURODRIVE is aware of these requirements and, as a result, has designed a compact and economic solution with its target-specific development of the MC07 series: MOVITRAC® MC07B – the next generation frequency inverter. 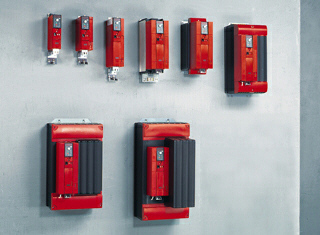 Compact and inexpensive frequency inverter for power range of 0.25 to 75 kW. 1-phase and 3-phase mains connection for AC 230 V and 3-phase mains connection for AC 400 to 500 V.
Purchase your SEW Eurodrive MOVITRAC MC07B Frequency Inverters today!